You guys remember how clutch the Scorpion Clutch Jacket was right? Well Scorpion decided to take that bad puppy to the next level with the new Scorpion Clutch Phantom. 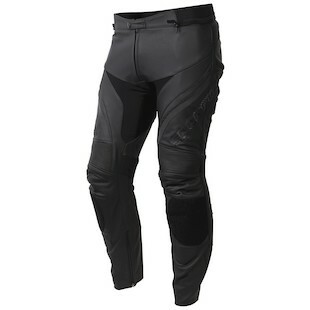 Scorpion is also offering a matching pair of riding pants to go along with the Scorpion Clutch Jacket. Guess what those pants are called? No it is not the sisterhood of the traveling pants, come on guys, it is the Scorpion Clutch Pants. 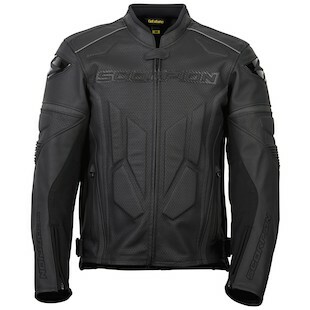 The Scorpion Clutch Phantom Jacket consist of 1.2 to 1.4mm Monaco top-grain leather, massive stretch accordion down the lats and the back of the elbows, and a nice sport hump that is not overly aggressive. This jacket can certainly get those knee sliders out there on the tracks with a full zip to connect the jacket to the pants. It will also come with a short zip and a jeans loop if you only wish to utilize the jacket. The removable full sleeve Everheat thermal liner is also a nice touch for those chilly morning rides. Now, let's take a gander at them pants shall we. The Scorpion Clutch Phantom Pants are comfortable enough to wear all day on the street but they still offer the protection needed to get you out on the occasional track day. The Clutch Pants have a full circumference zip ready to attach to the Clutch jacket. The pants are equipped with a lot of great accordion stretch above the knee as well as behind the knee. I would also note that these pants will come with sliders with a nice big pad full of adjustability for placement. Did you know that out of the roughly 1500 known Scorpion species that only 25 are considered harmful to humans? Also only one of those species actually lives in the US. Nope, it is not the Scorpion Phantom Clutch. This combination of jacket and pants are certainly not going to be harmful while you are taming those two wheels. Scorpion has done a great job with this jacket and we are happy to see a matching pair of pants. This clutch combination is going to a great option for any of those sport bike enthusiast. Keep an eye out for the Scorpion Phantom Jacket and Pants.